Like a “travel” team, the elite teams are for advanced swimmers who wish to raise their level of commitment to the sport. 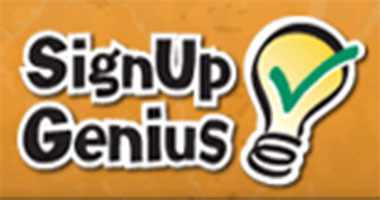 Elite team membership is by coaches’ invitation only after an evaluation is completed. The season for the elite teams run from October 2nd through JOs (first weekend in March.) Extended season through the third weekend in March (Silver Champs) will be available for a $75 fee. Group members ARE REQUIRED to join USA Swimming. Group members are expected to compete for the CORE Team at SAL Dual Meets as well as at least one USA meet. There are three components to belonging to this program-Attendance, Performance, and Attitude. 1. Attendance-Swimmers must make a minimum of three practices a week. When attending practices, swimmers must arrive early enough to be ready to begin swimming at the practice group’s start time. 2. Performance-Swimmers must show improvement in practice metrics and stroke skills over the course of the season. They are responsible for establishing reasonable seasonal goals and meet the coaches’ expectations. 3. 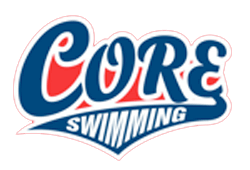 Attitude-Swimmers AND Parents must adhere to a CORE Swim Team Code of Conduct. They must approach practice with a growth mindset and work hard at practice. They must help foster a team atmosphere. *Additionally, all candidates must be legal in at least three strokes. This group will have practice Monday thru Thursday from 7-8:30 PM (with the Senior group), Fridays from 5:30-7 PM, and Saturday mornings from 7-8:30 AM. There is a three day a week minimum attendance requirement. Ninth through Twelfth grade swimmers who can hold 5 x 100s @ 1:40 and kick a 100 under two minutes and ten seconds. This Group will meet in the afternoons Monday thru Thursday tentatively from 4-5:30 PM, Fridays from 5:30-7 PM, and Saturdays from 7-8:30 AM. From October 2nd thru November 15th. From November 15th-February 9th, there is an optional practice offered on Saturdays from 7-8:30 AM. Members may rejoin the Elite team at the end of their HS season for a fee. 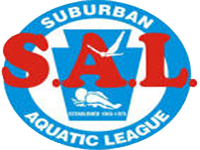 In addition to the SAL Dual meets, the elite teams will be competing in approximately three USA swim meets throughout the season. These meets are additional cost. Swimmers are responsible for the per event cost (~$5.00 per event) and a coaches’ Fee ($15 per session/day.) The goal is to qualify for Junior Olympics which is held the first weekend in March. The site and host of Senior Champs will change this year from years past. LAC will host Senior Champs at Franklin and Marshall. The Senior Committee, Tech Planning Committee, and the Director of Competition agreed that the two-venue ability at F&M provides more options as we begin to manage a growing meet, which is up to around 700 athletes in 2018 from 400 athletes in 2014. With this being the first year at a new venue, the decision was made to keep the time standards the same as last year. The meet will likely increase from last year, and we can use the results of this year’s Senior Champs to begin to manage this meet in accordance with the direction desired by the Senior Committee and the Director of Competition. The AG Committee, the Tech Planning Committee, and the Director of Competition all elected to keep the Spring JO time standards the same for this year. Last year we lightened the time standards with the intent on adding more 10&U and 11-12 boys. It was a successful move. The AG Committee believes there is still room for the meet to grow slightly, which was the basis for electing to keep the time standards the same. The 2019 Junior Olympic Championships will be held in the York County area of Pennsylvania at both Central York High School and Graham Aquatic Center hosted by the YMCA of York and York County. For the first time, all venues from Spring Silver Champs will be returning as site hosts. GPAC (hosted at GCIT), DST (hosted at University of Delaware), UDAC (hosted at Upper Dublin High School), and CYA (hosted at Central York High school) will again host a Spring Silver Champs. Because all venues will be returning, the capacity for the meet remains the same. As such, the AG Committee, the Tech Planning Committee, and the Director of Competition all elected to keep the time standards for Silvers the same. Although the time standards will remain the same, we also elected to add a LCM range for the time standards. Not having a LCM time range last year presented some issues, and it is our opinion that having the LCM time range will resolve those issues.